You don’t need us to tell you that being the victim of bicycle theft is an awful experience. We spend a lot of time finding the right bike, upgrading parts, and keeping it clean. Even more time is spent riding it, enjoying all the benefits that bike riding brings. So if someone steals your pride and joy, your going to be very upset. One way of course to avoid your bike being stolen is to never leave it in public. This is not always possible, and even if it is, you should really think about locking it up at home anyway. That’s where having the best bike lock will help out. Fortunately, there are very good locks available to keep your bike as safe as possible for the times when you cannot keep it in sight. For more of my top gear recommendations, have a look through these popular Outside Pursuits guide links: Bike Pumps, Bike Racks, Bike Lights. Here is a feature overview of my top 3 overall picks. Our guide and comparison table of the top rated bike locks will help you choose the right one for you. The Keeper is a chain covered in a nylon fabric to prevent damage to your bike frame. The links are made from 3t manganese steel. This choice of steel alloy is a great one for a bike lock as it is very hard and therefore difficult to cut. It is also resistant to abrasion, making it difficult to attack with an angle grinder. Each end of the chain is connected securely to a hardened deatbolt. The disc-style cylinder lock is resistant to attacks with picks or drills. Two keys are included and you can register the keys with Kryptonite’s Key Safe Program, so you can get replacements if needed. At 3.05 pounds, it has a reasonable weight. You can wrap it around part of your frame while not in use, keep it around your waist, or in a rucksack. It has a length of 7.87 inches, so you are unlikely to get it through both wheels. You may want to remove the front wheel and lock it to the back wheel or invest in an extra cable. The Keeper has a very affordable price so an extra cable should still be within your budget. This is a serious looking chain that will deter thieves. Should bike thieves decide to steal your bike anyway, it will certainly put up a good fight. The Keeper is the best bike chain lock, hands down. 5.5mm thick hardened steel prevents the links of this folding lock being cut through easily. Abus give their locks a security rating of 1-15. This lock is rated as a 15, meaning it is one of the most secure locks that they offer. The links unfold and to a total length of 33.46 inches, which is more than enough to fit through your frame, both wheels, and around whatever you are locking to. While the links do not have any sharp or rough edges, they are not coated so you will need to be careful to avoid scratching your frame. The hardened steel may be difficult to cut through, but the Achilles heel of this design is at the joints between the links. Bolt cutters can force the links apart. This does not mean that you should avoid it, as the link design means that it can be locked around many different objects of different shapes and sizes. The versatility is the big plus of this design and it still very secure against attacks from hammers and drills. While the 3.48 pound weight may be heavy to carry around, it does fold up into a neat box. 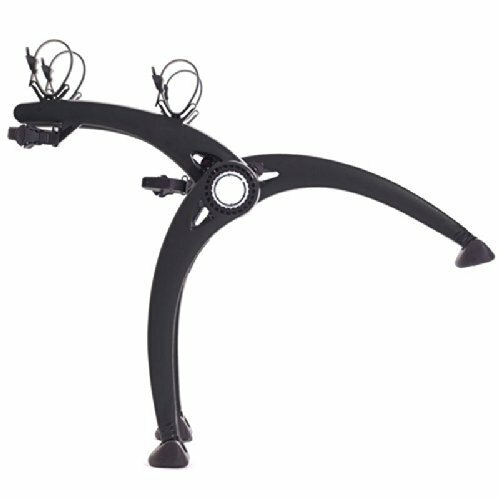 It also comes with a frame mount for easy transportation and I would give the nod to the Abus as the best folding bike lock available. It may look small, but the 4.4 pound weight of this mini D-lock reveals just how serious it is about keeping your bike where you lock it. A serious amount of metal has gone into this lock. 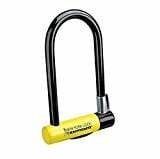 The 18mm hardened steel shackle is resistant to bolt cutters and levering making this the strongest bike lock. A disc lock style cylinder prevents pick and leverage attacks, and the double deadbolt will hold on for dear life, making attempts to force the lock apart almost impossible. The size of this lock is small. You will have to lock your frame closely to a relatively thin object like a lamp post and there will be little extra room for anything else. If you have skinny tires, you may be able to get it around your rear wheel and frame. 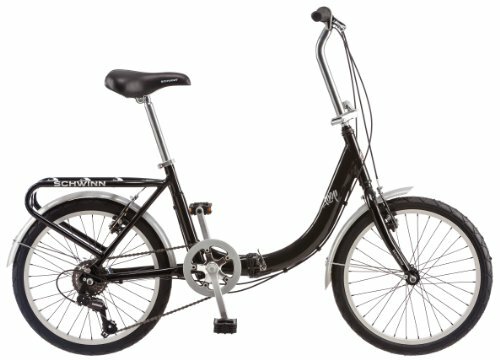 To secure the front wheel, you will need a second lock or a cable. The advantage of this is that almost the entirety of the shackle will be filled, making attacks difficult. The whole lock is coated in vinyl to protect your frame and a dust cover slides over the keyhole once you have locked it to keep out dust, snow etc that might reduce the life of the lock, they also included 3 keys. This is my top pick in the Kryptonite Kryptolok series of locks. This lock is a bigger version in the Kryptonite Kryptolok series(in terms of length, not thickness) of the Mini above. The bigger size means you can lock your bike to wider objects and/or fit it around big mountain bike tires. 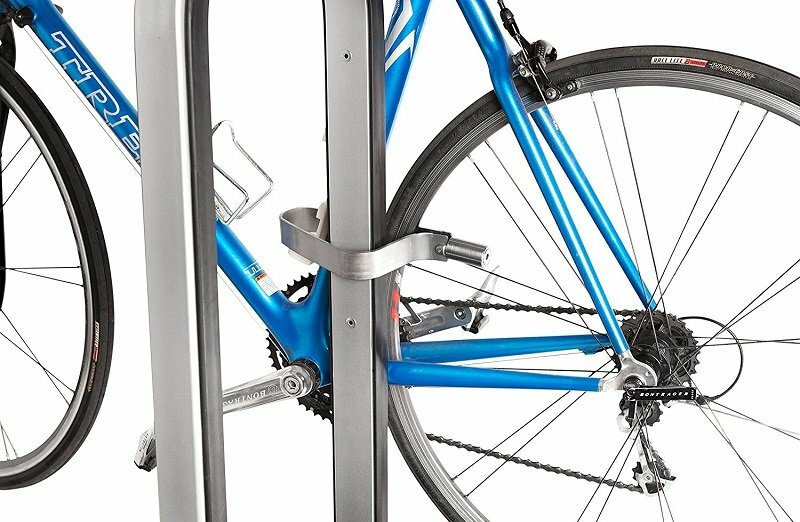 All the other details are the same except that this standard u-lock comes with a frame mount for transportation and one of the best u-locks for bikes you can buy. Cable locks are my least favorite bike locking option. The are the least secure, most any basic cable cutter will easily defeat this type of lock. The UShake features a 6 foot long cable that is 12mm thick and is about the most secure cable lock you will find. The UShake is a 4 digit combination bike lock that can be easily reset to make it easy to remember. It is nice to worry about not having a key to lose of forget. It also comes with a bracket to mount it under your seat or the main support bar. The cable is coated with PVC to resist rusting and scratching your bike’s finish. 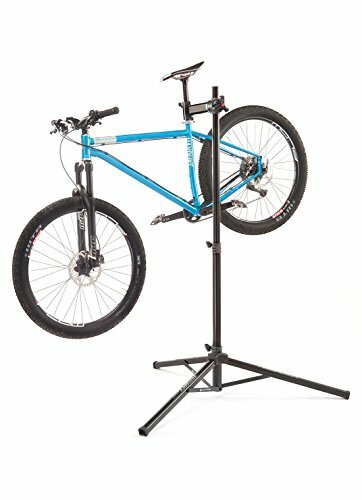 If you are looking specifically for a cable lock, the UShake is probably the best cable bike lock. This Kryptonite lock is not a lock per se, but a secure anchor to which you can lock your bike at home for anti-theft protection. You will need to mount it to a strong wall, concrete floor or even truck bed for it to be effective. Doing so requires a certain degree of handyman skills. Two masonry bits as well as all mounting hardware is included. Once installed, the Kryptonite lock is not going anywhere. Not only is the anchor hard to remove, but the 16mm hardened carbon alloy steel shackle is solid. It would be easier for the thief to cut through whatever lock you are using, so make sure this is of a good quality. When not in use, the shackle lays flat against the body of the anchor, so it can be driven or walked over safely. The part of the anchor bolted to the ground is covered by a plastic body that is held in place with hex bolts. When a bike is locked to the anchor, it would be possible to unscrew the cover. However, the design of the anchor prevents the cover from being moved out of the way, meaning the bolts cannot be accessed making it the most secure bike lock. Realistically, if someone breaks into your home or garage and sees your bike locked to this, they will realize that they are looking at a expensive bike that is securely locked. 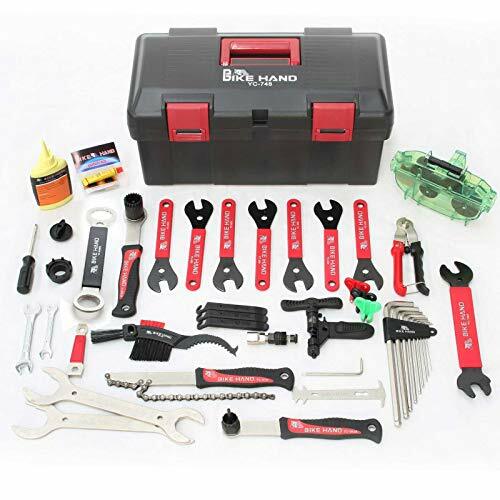 They are highly unlikely to have the necessary tools with them to cut through the disc lock and will turn their attention to other things to steal. 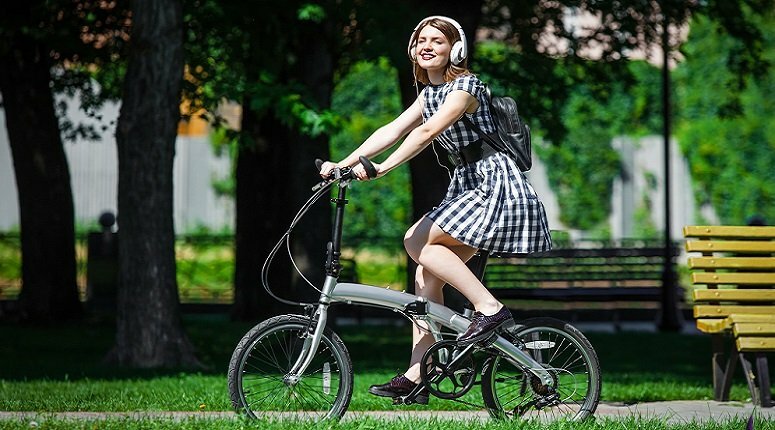 Your bike is obviously your most valuable possession, and not having a TV means less distraction from riding…right? If your looking for a lightweight, portable U-Lock bike frame lock, the TIGR is a good option. When I light I mean less then a pound! TIGR achieves the light weight by making it from titanium, which is an extreamly light but tough metal. However titanium is expensive so the TIGR is one of the more expensive bike locks on our list. If you have an expensive bike, I think it’s well worth the extra protection of titanium. For the extra money you also get made in the USA quality and comes with a easy to mount bracket to store the lock when not in use. You also get a Ulock that is ART certified and has a PVC coating so it doesn’t scratch your bike. It also locks without needing a key, it uses a push button which is very convenient. Why other bikes locks don’t have this escapes me! With the Abus Granit we have another standard u-lock that provides superior anti-theft protection and make it difficult for a bike thief to steal your bike. You can use it to lock your bike through the frame or the rear wheel and the frame if your bike allows. The Granit has a security level of 15 and achieves that with a 13 mm shackle that makes it difficult to cut through with an angle grinder or bolt cutters. All this protection comes a cost of weight, its twice the weight of the TIGR at about 2 pounds. One thing I don’t like about the Granit is they don’t supply you with a bracket to carry the lock. But ABUS does offer a optional shakle clamp. Abus does a few things I really like though. They supply one key with an LED light to make your life easier at night. A nice feature IMO. They also give you a code card so that if you lose both keys, you can get replacements. Just don’t lose the card! ABUS also thought to put a cover over the keyhole to protect it from mud and dust. Abus also makes what may be the best lock available with the larger size ABUS Granit Xplus. Over 50% of bike thefts are from homes. Just how secure is your garage or bike shed? If someone gets in, do you really want them to be able to make a quick getaway on your mountain bike? Would you not sleep better at night knowing that it is locked securely? Usually are made of a coiled metal cable, or woven cables encased in a plastic coating. They are generally cheap and light but all it takes is a quick snip with a pair of bolt cutters and your road bike is gone. A thief is unlikely to even be noticed doing this. 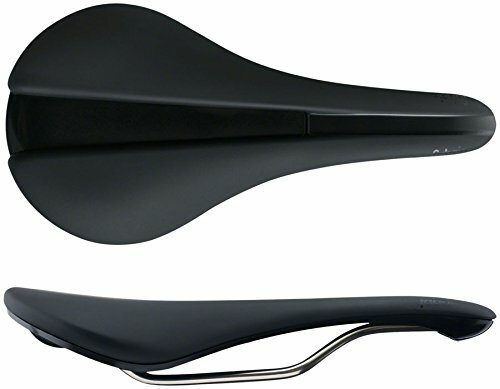 Best used in conjunction with a U-lock, you can help secure easily-removable parts, such as your saddle. Some with feature integral combination/key locks, while others need a separate padlock. You can also purchase armored cable locks, which work by surrounding the cable with various articulated steel barrels. 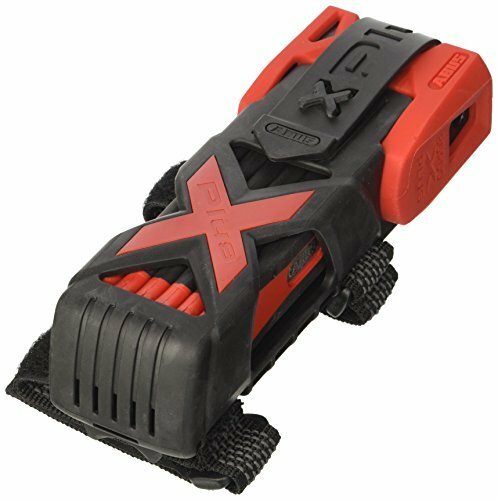 These will provide an extra layer of security – a bit more than your standard cable locks. However, you’re compromising flexibility while also adding on extra weight and money spent on these. Made of thick links of steel that cannot be cut through with bolt cutters. Thieves will try to pick the lock itself, unless they have a power tool to cut through the chain with. With cheap versions of this design, it may be possible to bend a link apart, so make sure that the links are welded closed. They are often heavy and bulky, however, so you should use these for stationary purposes. In addition, you’ll want to purchase a padlock that’s just as durable as the chain links. They are made from a series of long, flat links that can be unfolded and wrapped around awkward shapes. They are versatile locks as you can fit them through your bike and around street furniture, but their weakness is the joints where the links attach to each other. Also called D-locks provide the best bike security. They are made of a D-shaped shackle that locks into a straight end piece. The metal used in the shackle and the strength of the lock itself determine how long it will take to break into a U-lock. These are quite bulky, typically making them resistant to tools like hammers and chisels. 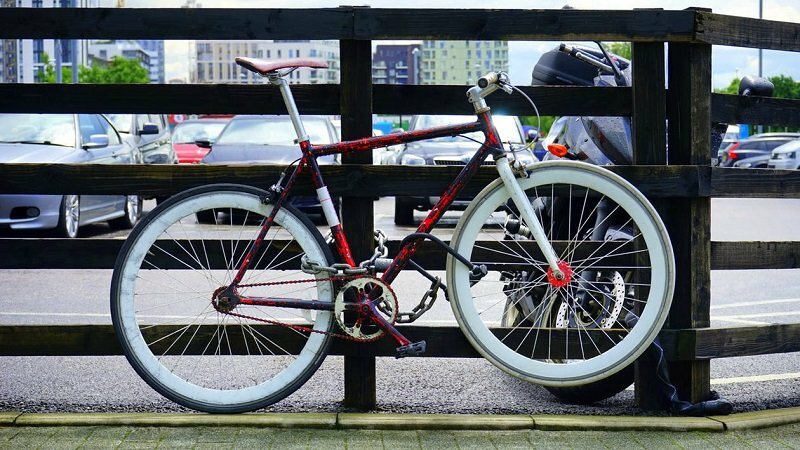 The design is made to create as little space as possible between the bike and the lock, so a would-be thief cannot place a crowbar or other tool in-between to try to break it apart. As they come in various sizes, you should try to select one which goes around the part of your bike with as little gap as possible. These are for home use and provide a secure object to lock your bike to. They are attached to a wall or floor with thick bolts. You may be required to have your bike locked to a fixed object by your insurance provider. Not all locks are created equal. Check the grade of the metals used and do not choose a lock because it is cheap. Cheap materials are softer and easier to cut through. A stronger lock will take longer for a bike thief to crack. They may also have to make noise and draw attention to themselves with the effort needed to cut through it. Any lock can be opened, cut or broken if the thief has the right tools. A good quality lock will provide more bike security and require much more time to do so as it will be made from hardened steel, have multiple bolts in the locking system, and be resistant to levering. A strong lock is a heavy lock, but a heavy lock is not necessarily a strong lock. Do not purchase a lock just because it is heavy. You will have to carry around the weight of a good lock. If you are lucky, you can get a frame mount for your lock of choice, otherwise you will have to stow it in a rucksack. Chains can be locked around your waist… just don’t lose the key. The two most common types of lock are opened with a key or combination code. The former is generally better because if you forget the combination, it is game over, whereas you still have a spare key at home if you lose the first one. It is usually possible to register a code on your key with the manufacturer and get a replacement if needed. Some smart locks connect to a smartphone app and can only be unlocked with this. They also send you an alert if someone is trying to steal your bike. You want a lock to protect your bike from theft, not scratch it. Regardless of how careful you are, frequent use will lead to paint rubbing off or accidental scratches unless the lock has a soft coating. Rubber or fabric are usually used to keep your paintwork in good condition. A lock that you can’t easily take with you when you’re in the saddle is a lock that usually stays at home. To avoid leaving the house without a lock, or going for a flimsy cable lock that is easier to carry, think about how you are going to attach your sturdy security to your bike. Many D/U locks come with an attachment bracket that can be attached somewhere on your frame. Some are attached to the top bar, but I find that many of these can swing while you’re riding. Others can be screwed onto the seat tube where your upright bottle would usually be. It is a very handy way of keeping your lock in an easily accessible spot but means sacrificing either one or both of your bottle holders. 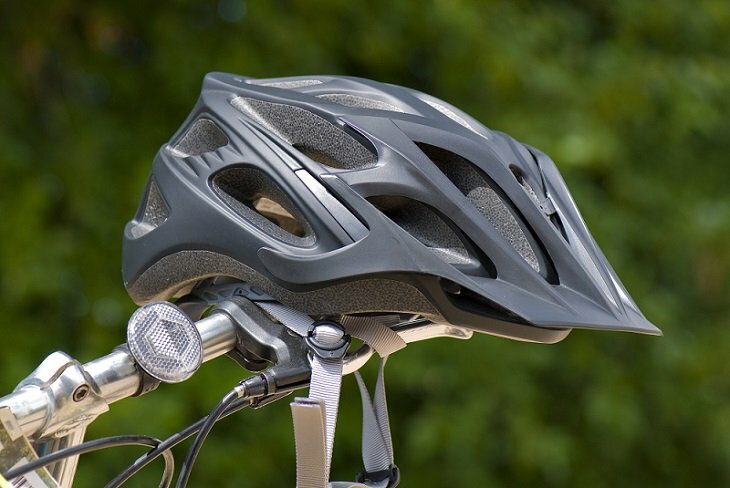 The advantage however, is that you won’t notice the increase in weight and it won’t impede you from riding. 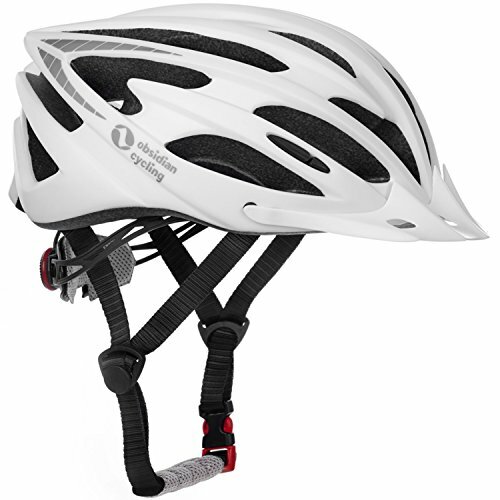 If you don’t have a bracket, you can try what many people do and loop it through the rails of your seat and between the seat stay and seat tube. Here’s where the disclaimer comes: this technique is certainly not an ideal way of carrying your lock. Make sure that there is clear distance between the lock and your tires and brakes to avoid a serious accident. If your U lock is especially long, it could create friction on the wheel and it doesn’t take a seasoned pro to work out how dangerous that could be. Chain and cable locks are trickier. Some can be wrapped around the top bar, but in many cases this is uncomfortable while riding. A backpack or a pannier on a pannier rack should do the trick. Will it interfere with the bike? 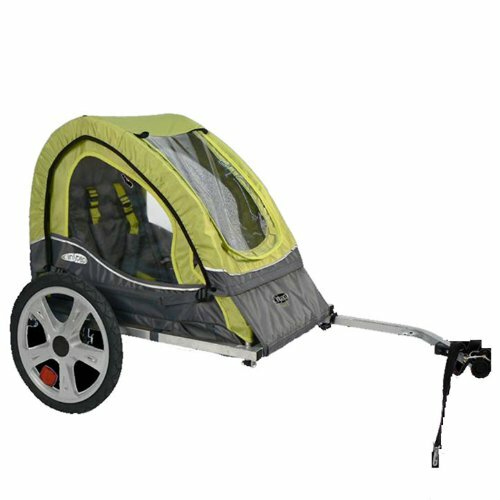 Will it impede my movement? Whether you have a U Lock or Chain lock the most important thing is first where you lock up your bike. Your best bet is to lock your bike where there are lots of other bikes, there really is safety in numbers! Not only are there more targets, there is also the likely hood one of the bike owners will always be around and a bike thief is unlikely to try and steal your expensive bike with people around. You can’t always rely on the general public to stand up for you, but there are other eyes out there. CCTV cameras can keep a watchful eye while you go about your business. It is quite a hassle to report a theft to the police, get it investigated and maybe not even get your bike back, but cameras also work as a fantastic deterrent against theft. It may seem obvious but make sure what you lock your bike to can’t be moved or cut. Why make it easy on the bike thieves? At least force them to have to cut the lock! If you can find a dedicated bike parking stand you should of course use that. Now if you have no choice but to lock your bike in a less desirable area, if you can afford or have the ability to carry two locks you can greatly increase your bike security with multiple attachment points. Always attach at least one lock around the bike frame and NOT just the front or rear wheel. What will most likely happen is the thief will leave you with one wheel! With two locks, you can not only secure the frame but both wheels. If you do find yourself with just one lock, you can remove the front wheel yourself, put it alongside the rear wheel and lock the front wheel, back wheel and frame all together. 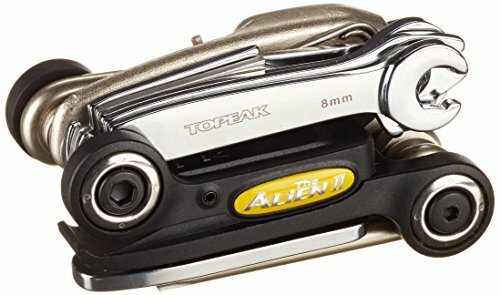 Q: Are expensive locks better for locking up my road or mountain bike? A: A determined thief with an angle grinder will be able to defeat even the best lock. Your best security is locking your bike around people and lots of other bikes. Q: If all locks can be defeated, why should I buy a more expensive lock? A: Why make it easy on a bike thief? A secure lock will not only take much longer to defeat, most likely they will move on to a bike with a less secure lock. Q: I don’t have much money, should I just go with a cable lock? A: Well a cable lock is better than nothing! It will at least keep someone from just walking off with your bike, but even the toughest cable lock is no match for bolt cutters. Q: How do I keep components safe? There are currently a few things on the market that lock up separate components on your bike, such as locking axels that prevent your wheels from being removed. 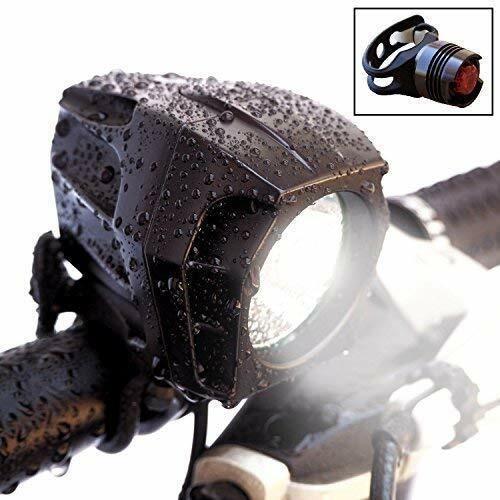 However, the best way to keep your lights, saddle and other components safe is still to take them with you. Q: How can I know how strong a lock is? A: Remember, no bike lock is unbreakable. All the thief needs is enough time, and the right tools. However, a bike lock does buy you time, and the better it is, the more time you’re allowed. Typically, the thicker a lock is, the better it will resist said tools. Generally, if the lock is less than 13mm in diameter, most bolt cutters will be able to slice right through them. Those with diameters between 13-15mm can only be broken by very large bolt cutters, however, that’s still taking a risk. Finally, locks with 16mm diameters are nearly impossible to cut with even the biggest bolt cutters. That’s not the only factor, though. You’ll need to consider the type of steel, the shape, the size of the lock, and the locking mechanism it features. Thieves also don’t always use bolt cutters, so if power tools are involved, all this goes out the window. Q: Will my lock keys ever need to be replaced? A: Most likely, yes. With regular use, your keys will wear out or become bent. If this happens, they may not operate properly in your lock. Make sure that along with your lock, you inspect your keys regularly to ensure the security of your bike. Q: I have an expensive bike, what is the best type of lock, a U-Lock, Cable or Chain lock? A: The absolute best lock to secure your bike is a U-lock or sometimes call a D-Lock. They have a hardened steel shackle that takes an angle grinder to cut through. They are however harder to use and less versatile. A cable or chain lock can be sued to lock to more attachment points and be threaded easier through the frame and a wheel. Of the two, the chain lock is much more secure than a cable lock that all it takes is two seconds with a pair of bolt cutters. They are also harder to carry than a Ulock that is easily mounted on your bike frame. Tip #1: Use two bike locks of different types, if you can. Why? First off, it’s going to take more time to break through two locks, rather than just one. Second, the thief may only have a set of tools made to break through one type of lock, but not the other. Tip #2: Try to avoid keeping your bike in either isolated or very crowded places. Ideally, you’ll want to keep it in a well-exposed place where pedestrians can easily see it, but not to where there are so many people that the bystander effect starts to take place. This means there are so many people in one place, that if something “bad” happens, bystanders are less likely to intervene or say something. In addition, if it’s very crowded, it may be more difficult to notice anything is even happening. If you can, try to keep your bike in the range of a security camera. Tip #3: When you can, bring your bike indoors. This may not always be an option, but if you can, it will greatly increase the chances of it being protected. Try to bring it inside your apartment or house as opposed to just leaving it in the hallway. Tip #4: Use a GPS tracker. 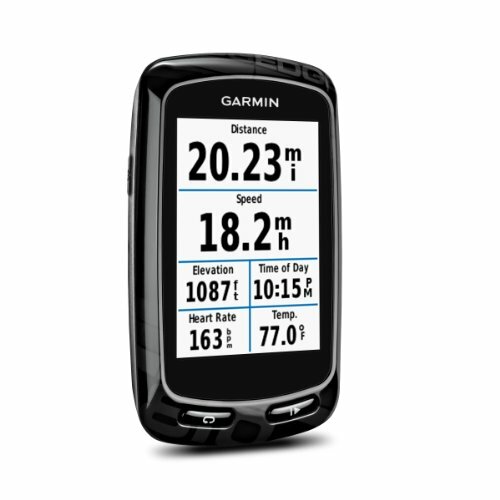 If your bike is one of your prized possessions, getting a GPS tracker for it is more than worth it. These are small gadgets that can help protect your bike from thieves. They’re made to look just like your regular bike components, so the thief won’t even know you have one on the bicycle. It will track the signal, so you always know where it is, and can hopefully get it back! Tip #5: Don’t leave your bike parked in the same place everyday. If you do, criminals can more easily spot its location and plan their attack when they know no one will be keeping an eye on it. I hope this guide was helpful in picking the best bike lock to fit your needs. If you want to comment or recommend a lock I didn’t include, please use my contact form to get in touch.